Weekend Events Are Always HOT in DMV!! We Have You Covered for Weekend Events! There Are So Many Events to Pick From This Weekend! There’s No Shortage of Valentine’s Weekend Events in the DMV!! Building your dreams takes time and commitment. It’s a fact that many small business owners are desperate to drive more business to themselves on-line. Are you a business owner or an entertainer? Do you need to get new business through the door in these challenging times? Do you need to increase sales and remind customers where you are? It’s time for a feature article, where your business will be featured on our website and viewed by thousands of our daily visitors. If you answered yes to any of these questions, then advertise with DC Nitelife. 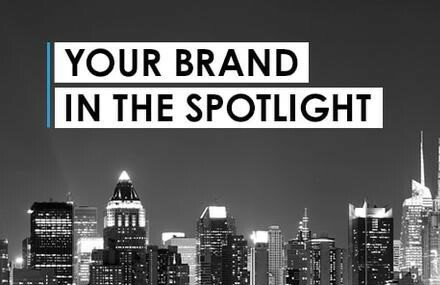 DC Nitelife (DCN) would like to feature your company or business which will further build your brand, create a loyal customer base and further your web presence. An exclusive article written about your company/business is a powerful and effective way to boost your brand’s visibility, reputation, and on-line presence. After your article is written and published, it becomes indexed by Yahoo, Google & Bing and forever searchable on the web. When you advertise with DC Nitelife, it is submitted to Facebook, Twitter & Instagram, then to an additional 20 other social media platforms such as Google+, Blogger, Tumblr, Flicker and Vine to name a few. DC Nitelife is the ultimate source for today’s media that matters to everyone. DC Nitelife has approximately 410,000 hits each month. Average user stays on DC Nitelife for 4.52 minutes and the age range is 18 – 45 with a median income of $110,000. Use the web to promote your business. DC Nitelife will feature your business and help you reach the potential you’ve been seeking. So if your business needs a boost or you are revamping, moving premises, under new management or just want to let people know who you are, fill out the form below so we can assist in making the possibility a reality. Business Description or Entertainer Bio has to be a minimum of 300 words. Include up to 5 images. Please list 10 words that best describes your business or entertainment venture. DC Nitelife is the ultimate source for today's entertainment news, events and reviews that's relevant in the Washington DC Metropolitan Area and nationally. The RISE and FALL of Monogamous men! The Great Debate—Should the Man Pay for Dates? Copyright © 2016. Produced by DC Nitelife and Digital360 IT.